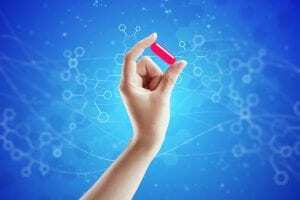 Recently I saw the “controversial” movie “The Magic Pill” which looks at the role of food in our lives and how what we eat might influence our health. It is accepted that 75% of the disease burden in western societies are lifestyle related. This is a function of many factors including diet. In the film people change their diet from a standard western type diet (high in sugar and grain) to a diet based on real food (meat, seafood, vegetables, fruits, nuts, seeds and berries). All those who change their eating patterns report improvements in their health. There is no claim made that other people following the same diet will get the exactly same results. One lady loses 20kg and is able to come off insulin for her type two diabetes. Even if she had lost weight and reduced her insulin requirements this would be a good thing. 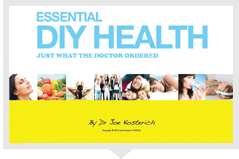 In my original DIY Health book, I wrote about eating foods which till recently were growing somewhere or were moving around. Foods which our great grandparents would have eaten. I wrote about reducing the intake of processed packaged foods which are high in refined carbohydrates. In talking about reducing the intake of processed foods and eating more “whole”or “real” food The Magic Pill is not saying anything radical. So why the controversy? I’ll come to that later. Also featured are a number of doctors and researchers including the highly regarded Nina Tiecholz who explains how we got into the current situation with dietary guidelines. In brief, it was the flawed (borderline fraudulent) work of Ancel Keyes who believed that saturated fats in the diet was the cause of heart disease. He had enormous influence and his theory became accepted wisdom. The problem is that he only used results supporting his hypothesis. Had he used data from all countries studied, his hypotheses would not have stood up. Over the last 40 years we have seen an increase in consumption of grains and vegetable oils and a decrease in the consumption of meat and dairy. Despite (more likely because) of this we have seen increased rates of obesity, type two diabetes and a host of other chronic conditions. Yet the “experts “in nutrition, medicine and public health continue to cling to and promote the fat is bad mantra despite overwhelming evidence to the contrary. They say “exclusion” diets (cutting out gluten, dairy or grains) are dangerous but are silent on vegetarian and vegan diets (which also exclude food groups). The human body stores carbohydrates as fat under the influence of insulin, released in response to a high carbohydrate meal. This is physiology 101. A meal with protein and good fats does not trigger insulin release to anywhere near the same degree. The increase in obesity, type two diabetes and insulin resistance follows repeated consumption of refined carbohydrates. In presenting information about diet and letting people tell their own stories, the film allows the viewer to make up their own mind. There is no “advice”. But there is (pardon the pun) food for thought. Answering the question, why the controversy, is surprisingly simple. It comes from the fact the chef Pete Evans is the executive producer. Pete is on camera for less than two minutes in the entire film and most of this time is spent interviewing a farmer who highlights the difference between grass fed meats and grain fed meat from feedlots. The farmer also talks about the role of grass in the ecosystem. Shocking stuff! But Evans has his critics who are strident in their opposition to eating less refined carbs and eating more real food. Last time I wrote a piece suggesting Pete Evans was not the devil incarnate I was pilloried on the Facebook hate page “blocked by Pete Evans”. When I tweeted that a speaker who advocated eating less sugar should be allowed to give a lecture a wannabe nutritionist described me on twitter as a charlatan and quack- charming stuff. No doubt my pic will be back on the dartboard as friends of processed food central for this piece too. They prefer to attack the person than consider the issues. When 75% of chronic disease is related to lifestyle issues, if those lifestyles improve, there will be less money in treating the diseases. If people can get nutrition ideas from a chef, then they may not want to pay for dieticians to tell them to eat more processed foods. You might notice a similarity in this of last week’s titles. It seems the elites do not want the rest of us to achieve anything unless it has their approval. Ultimately it is difficult to fathom why anyone in healthcare can describe a movie showing people improving their health as dangerous. They can say (correctly) that it might not be reproducible for all or that there is more to health than diet alone. But dangerous? You would think they would be interested to learn more and study the role of dietary change (as these researchers are). Sadly, no. It is like they are angry that people have the audacity to improve their health without them. But given that the dietary advice from experts for the last forty years has gotten us into this mess, maybe they are petrified the truth will come out. And then the people will be seriously angry!